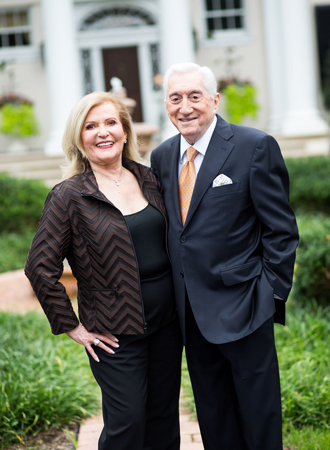 “We are most fortunate that the Stolers share our vision for the cancer center. Their transformative gift will enable us to make the physical home of the Greenebaum Cancer Center the bricks and mortar as extraordinary as the work that goes on there every day,” Dr. Reece says. The University of Maryland Medical Center (UMMC) is comprised of two hospitals in Baltimore: an 841-bed teaching hospital Downtown the flagship institution of the 14-hospital University of Maryland Medical System (UMMS) and a 177-bed community teaching hospital, UMMC Midtown Campus. UMMC is a national and regional referral center for trauma, cancer care, neuroservices, cardiac care, diabetes and endocrinology, women’s and children’s health. All physicians on staff at the Downtown flagship hospital are faculty physicians of the University of Maryland School of Medicine. At UMMC Midtown Campus, faculty physicians work alongside community physicians to provide patients with the highest quality care. UMMC Midtown Campus was founded in 1881 and is located one mile away from the Downtown Campus. For more information, visit umm.edu.